A stretch of 3rd Avenue unofficially known as the "main street" of Gowanus has many signs of renewal: a yoga studio, a cafe with locally-sourced food and lots of construction projects. 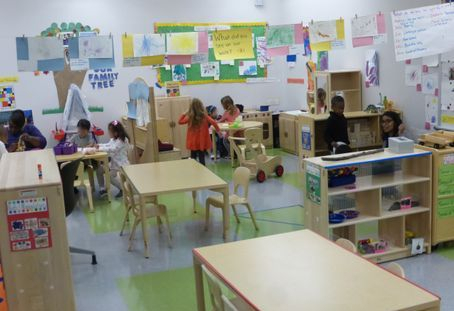 Opened in 2016, The Little Brooklyn Pre-K Center fits right in. It has modern classrooms in a former glass warehouse equipped with bathrooms, block areas, toy kitchens and many tools for math and science. On our visit, attentive teachers sat next to children on small chairs and looked for opportunities to boost language development: "Look! It's a whale!" said a child holding up a flattened piece of clay. "What else does it look like?" asked the teacher, making a note of his insights. In math, too, teachers encouraged children to try out new words, such as "angles," "sides" and "points," to discuss shapes. Parents are welcome and involved. One brought in cheese and prosciutto after a trip to Italy; a couple offered to teach kids how to make arepas at their new Venezuelan restaurant. Garden make up for the lack of outdoor play space. 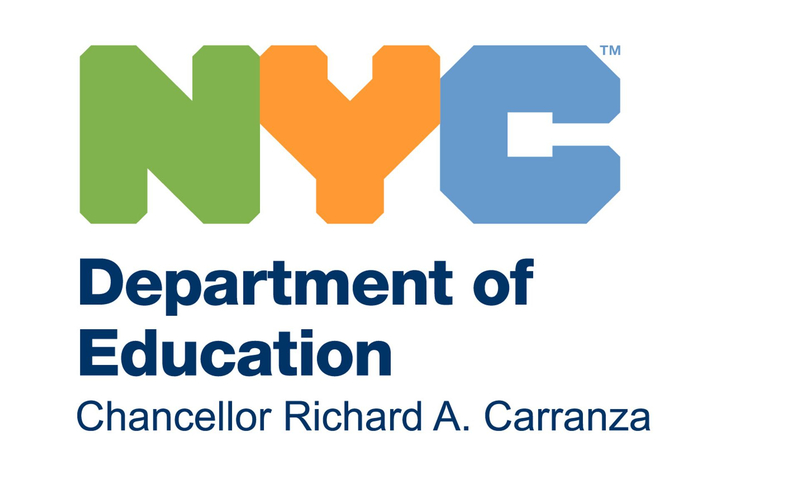 This and three other Little Brooklyn Pre-K Centers are overseen by District 15's Director of Early Childhood, Maria Interlandi, a long-time Brooklyn educator and former assistant principal of PS 94. Interlandi takes inspiration from K-280, the pre-k center the Bishop Ford School site in Windsor Terrace, which has a popular inquiry-based approach. To read the full review, please visit insideschools. 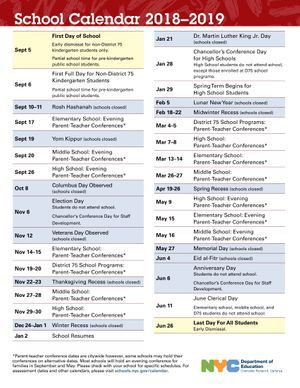 SOURCE: ©2000-2017 Insideschools.org, Lydie Raschka, October 2016.